Urban Reviews: Can you tell us what Moonshine is all about? 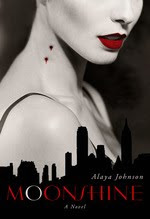 Alaya Johnson: Moonshine follows the story of Zephyr Hollis, a demon hunter turned social activist in the Lower East Side of 1920s New York City. She teaches night school to immigrants and Others (including vampires) and generally tries to repent for her past as the daughter of Montana's most famous demon hunter. However, things turn sticky when one of her students--a mysterious man named Amir--proposes to pay her handsomely for her help in finding a notorious vampire mob boss. Adventures ensue. Urban Reviews: How did the story first materialize for you when you started writing Moonshine? Alaya Johnson: Rather unusually for me, the core idea for Moonshine appeared to me in a flash one afternoon. I'd been idly contemplating the current trend in urban fantasy and wondered, as a thought experiment, what kind of setup would really excite me. And suddenly the world of 1920s New York popped into my head, and I was hooked. I wrote down a mini plot description, which basically included Zephyr, Amir and the setting, and I was off. The whole process was really a lot of fun. Urban Reviews: What made you want to write about vampires? Were you a fan of the genre and/or vampire legends before? 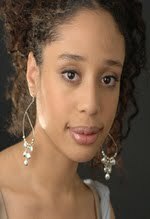 Alaya Johnson: I've definitely enjoyed many vampire stories, including modern urban fantasies. But I wouldn't call myself an aficionado. I'd never contemplated writing a vampire novel before the day I had the idea for Moonshine. I thought vampires were fine to read about, but they'd never really captured my imagination before that point. All that being said, some vampire books--especially Robin McKinley's Sunshine--have been on my comfort reading list for years. Urban Reviews: What do you think is the hardest thing to overcome when writing Moonshine? Alaya Johnson: Probably the research and really getting into the feel of the twenties. I read a lot of books and watched movies and went through many entries in etymological dictionaries to try to give some verisimilitude to the setting. I'm by no means an expert on the period even now, but hopefully some of the details I learned helped make the setting more convincing for readers. Urban Reviews: Is there anything else you'd like to share regarding Moonshine? Alaya Johnson: I'm currently working on the (as-yet-untitled) sequel. Returning to Zephyr and her friends has been a lot of fun for me, and hopefully will please my readers, as well. Speaking of readers, if you're a fan of historical fiction in addition to urban fantasy, I think you'd really love this book. Some of my favorite writers are Robin McKinley, Elizabeth Peters, Sarah Smith and Dorothy Dunnett--so if you're a fan of any of them, check out Moonshine! Order your copy of 'Moonshine' today!